Deanna Shrodes: Why you should move to Tampa and partner with us in reaching people! and partner with us in reaching people! Okay, so I'm doing this again because it was so successful the other day. I just dropped a little blurb of an invitation in one of my posts, to anyone who wanted to move to "paradise" and help us win souls. Lo and behold three days later one of my dearest friends e-mails and says, "okay, we're doing it! We've put the house up for sale. We've started packing. We're coming!" Seriously. Okay, so this time I'll be even more direct. God only knows what might happen! 1) There are approximately 4 million people here in the Tampa Bay area -- making it the third largest metropolitan area in the Southeastern United States, behind Miami and Atlanta. That's a lotta souls! 2) There are authentic Cuban sandwiches here. This in itself is a reason you must start packing your boxes NOW. Trust me if you've never tasted this, you haven't lived. Upon helping you unpack your moving boxes I will present you with your first Cuban sandwich and cafe con leche. 3) It is the second largest metro area in the state! There are limitless people and limitless possibilities! 4) You love beaches and palm trees. 5) The U.S. Census shows an average annual growth of 2.47 percent or a gain of approximately 97,000 residents per year. You aren't the only person who would be considering moving here -- a lot of lost people would be moving here, and who knows, YOU may be the one destined to lead them to the Lord. 6) In 2008 Tampa was ranked as the 8th cleanest city in America! Al Gore would be proud. But don't worry, he's not moving here, so you are safe to come on down. LOL Just kidding! 7) Northside is a church filled with loving people who are just waiting to welcome lost people (and you too) with open arms. We're a great place to grow and help others to grow too. 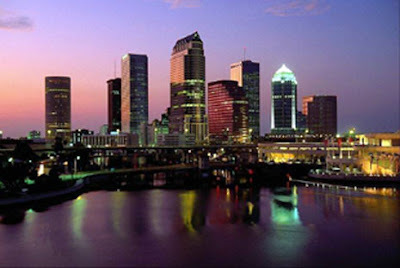 8) In 2008 Tampa was ranked "Best Outdoor City" by Forbes! Just think you can lead people to the Lord in beautiful indoor OR outdoor surroundings. You have the best of both worlds. 9) Tampa is a melting pot of many cultures. If you want to reach the nations, you don't even have to leave our city to do it. The nations are here. At Northside alone we have about 20 nations represented, right now. It's awesome. Sunday night we had an international banquet with food made by all of our people. Mmmmmm....delicious! Jamaican food, Haitian, Spanish, Cuban, Greek, America, it was all there and more. We are a world missions driven church, but also realize we are reaching the nations in one sense without ever even leaving home. 10) Florida's not just for old people, although we love old people. It's not just the "snowbirds" who love it here. A 2004 survey by the NYU newspaper ranked Tampa as a top city for 20-somethings. 11) If you serve at Northside on our leadership team you will sit in my home at least once a month, sometimes more than once a month -- eating my incomparable biscuits, and other such delicacies. 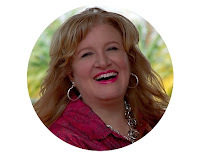 You will personally share cups of Kenyan coffee and tea with me while I sit in my rocking chair and pour my heart out to you about how together we are going to make a difference in the world together. 12) You want an opportunity to serve with a church that is feeding and clothing people week in and week out, and giving them the good news of Jesus Christ. If you ever dreamed of working in a soup kitchen, a food bank, a clothing bank, a homeless ministry, then you have just hit the jackpot, honey! 13) The thought of winning and discipling somebody for Christ with me and then floating on a noodle at Clearwater beach and talking about what a blast it is really appeals to you. 16) The thought of being in a church that does karaoke together really excites you too. You want to serve with a pastor who does altar calls and sees people saved and then after morning worship, gets up on a picnic table with a bunch of other people and a microphone and sings songs from the 70's and 80's with wild abandon. 17) Praying at the church until 1 am on Friday nights and then going for pancakes until 4 am together sounds like a blast to you. 18) You are tired of snow. 19) You want to be part of a church that is giving big time for world impact. (We financially and prayerfully support approximately 50 missionary couples or, approximately 100 individuals at this time and the list grows all the time). We are possessed with reaching the world. 20) Aside from all the above incredible reasons...you're simply feeling God's call. (813) 961-0910 or e-mail now. What are you waiting for? COme see for yourself it is all good. I have been studying on keys to prayer. One of the keys is found in 1 Tim. 2:1-3. Here is the key. According to Mark 11:20-24, we have faith and pray for things. Many people are praying for things that are not happening and they think either God doesn't want them to have it, or they have a lack of faith. It is neither! When you pray you have the faith for it and it is yours. The reason it hasn't happened is we are to pray for those in authority or decision making power over the thing before we pray for the thing. I said all this to say, Pastor Deanna start commanding those who are holding your team, resources, finances, land, ideas, inventions, properties, houses, promotions, and opportunites to release what is your. It is coming! There is a shift in your life right now! I receive that word. Thank you so much for being obedient to the Lord to share it!